Aspects of Healing is the home of Ayurveda in Adelaide. Our traditionally trained Ayurvedic Practitioners ensure the practice of this ancient wisdom is both authentic and customised to the individual client. Ayurveda recognises that we are not all the same. We are each unique and therefore need something different. This is emphasised by identifying and abiding to an Ayurvedic ‘Life-Style’ that is compatible, restorative and corrective for each person. Established as the oldest surviving complete medical system in the world, Ayurveda has its origins dating back more than 5ooo years ago. The name AYURVEDA is derived from its ancient Sanskrit roots – ‘AYUR’ (‘life’ or ‘longevity’) and ‘VEDA’ (‘science’ or ‘knowledge’). Ayurveda can be described as ‘The Science of Life or Longevity” or “The Yoga of Life”. Ayurveda and Siddha, provide the knowledge and the tools to allow you to experience your ‘life-span’ to its fullest extent for very specific purposes. This medical science offers a rich, comprehensive outlook to a healthy life. It was expounded and practiced by the spiritual rishis, who laid the foundations of the Vedic civilisation in India, by organising the fundamentals of life into proper systems. Ayurveda aims to integrate and balance the body, mind and spirit. This is believed to help prevent illness and promote wellness. Ayurveda philosophy believes that people, their health, and the universe are all related. It is believed that health problems can result when these relationships are out of balance. To maintain the health of those who are well and are not suffering from any disease condition. This is achieved by regulating one’s diet and nutrition, exercise, hygiene and lifestyle. The second objective targets curing the diseases of those who are sick. This section has a detailed insight into the various disease conditions, their causes, diagnostic techniques, remedies and therapies to cure, prognosis etc. However, the highest or ultimate goal of Ayurveda and Siddha treatment is to attain absolute detachment of the ‘Atman’ or soul. This is the state of liberation or ‘Moksham’. At the same instance, the body, mind and its equipment are not neglected but brought very much into focus and attention, as it is the means of realising the Self or Truth. An important factor to consider is the natural law of Karma, that is “every action has an equal and opposite reaction’ or ’cause and effect’. This can be compared to Newton’s Third Law of motion. Karma is a natural law, and understanding this we come to understand why we are born the way we are. This allows us to accept our situation and realise we were born this way in order to experience certain things in a certain way. With the science of Ayurveda we learn to manage our bodies and minds as instrument given to us in this life for a specific purpose. Ayurveda is based upon the principle of the unity of life and seeks to increase our state of health through developing those factors of similar nature to it and reducing those factors of contrary or variant nature. Ayurveda believes that life is conceived as the union of body, senses, mind and spirit. A living being is a combination of three humours -“DOSHAS” (Vata, Pitta and Kapha). Each person will practice and live differently as each person is different and unique. How and why are we different and unique? Ayurveda tells us that all that is matter contains five great elements, namely Ether (Space), Wind (Air), Fire, Water and Earth. These elements are in all matter and therefore present in Man. As such the physical Man is an integral and inseparable part of Nature. The elements in their subtle form moving from the most subtle (Space/Ether), to the most gross (Earth) element. In the beginning was the Word and the Word was God (Om). When we say word it means sound and sound means waves and these sound waves are vibrations. When there are vibrations in Space, in Akasha, it is immediately followed by movement. Space pulsating to and fro gives rise to movement. This movement of space is Wind. As the pulsating to and fro of Space increases in speed, the speed of Wind also increases. As the pulsating and vibrations increase friction is experienced. As this further increases it gives rise to heat and the element Fire. When there is heat in Space there will be tendencies for condensation. As condensation increases water droplets form thus condensation produces the Water element. As the Water increases in volume it gains in mass and weight and gathers cosmic dust and due to certain forces of nature such as gravity, this mixture of Water and cosmic dust gathers together and as it swirls around a mass is produced and this produces the Earth element. Ether is space; and for consciousness to exist, space is required. This is the place where everything happens and all exists. It is characterised by the quality of sound. Its attributes are cold, dry, light, subtle, liquid, mobile, sharp, soft, smooth, and clear. Wind is movement and has the quality of touch and sound. Its attributes are cold, dry, light, subtle, mobile, sharp, rough, hard, and clear. Fire is energy and has the qualities of sight, touch, and sound. Its attributes are hot, dry. light, subtle, mobile, sharp, rough, hard, and clear. Water provides flexibility and has the qualities of taste, sight, touch, and sound. Its attributes are cold, wet, heavy, gross, liquid, static, dull, soft, smooth, and cloudy. Earth gives firmness and has the qualities of smell, taste, sight, touch, and sound. Its attributes are cold, dry, heavy, gross, solid, static, dull, hard, rough, cloudy, and dark. Although some of the qualities are shared by more than one element they exist to different degrees in different elements. For example fire, air, and ether all contain the attributes of being dry, light, subtle, but these are the least subtle in fire and most subtle in ether. According to this science, there are three primary life forces or energies formed by the combination of these five elements. Each of us possess a basic nature or constitution, (Prakriti) in whose state of balance or equilibrium is health. Disease arises from a differentiation or degeneration from that basic state of health, (Vikriti). Thereafter Pulse reading and Diagnosis/personal interview are carried out. Once the pulse reading has been taken a brief explanation as to the meaning and condition of the pulses will be given. A comprehensive Food list containing information on Food dietetics (items of food that you may eat) that is correct for your Vikriti (current imbalanced state) will be provided and other pertinent instructions will also be given. You will also be provided with a relevant constitution analysis to study. 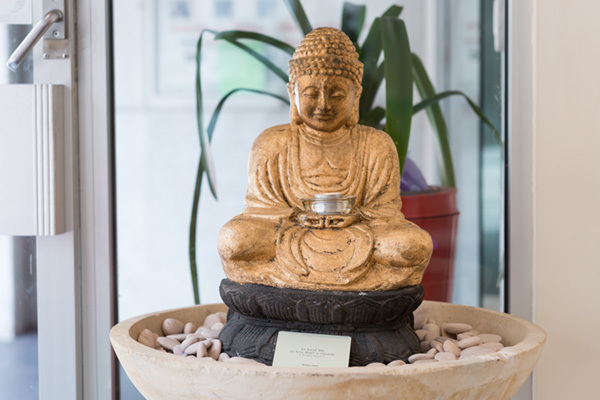 A comprehensive range of Ayurvedic consultations and treatments are available at our Adelaide centre. Why undergo the 7 day detox program? The purpose of the 7 day program is to assist the removal of toxins that have remained in the system for long periods of time. The focus is on drawing excess Doshas out of the tissues and into the digestive tract so that they can be eliminated. These toxins are like grease, the longer it remains in a place, the harder it becomes. The detox program works on the system to remove these excess Doshas and toxins. What is included in the 7 Day Detox package? Private Health rebates by accredited Practitioners may apply where eligible. Your treatment will be designed according to your Dosha imbalance. Kalarippayat is an ancient Indian martial and healing art-form that evolved alongside Yoga and Ayurveda and shares elements of both. The tradition aims to bring peace to worldly conflict – inner and outer. Both Kalari practice and treatments holistically develop an individual; beginning from physical health, mental balance and progressing to the unification of the mind, body and spirit. Kalarippayat is still relatively unknown because the British banned the practice whilst occupying India. However, Kalari continued as it had for thousands of years as a closed oral tradition. It is now re-emerging around the world as people are re-discovering the benefits of this ancient science. Visit kalariaustralia.com.au for more information. Kalari treatments follow the fundamental principles of Ayurveda, but are also influenced by Siddha medicine and other regional Indigenous knowledge systems of India. Like Chinese and Tibetan medicines, Ayurveda and Kalari view a human being as a microcosm of the natural world. Treatments work on curing the root cause and not the symptoms of an imbalance. Therapists assist the body to return to a state of balance so that it can ultimately heal itself. What distinguishes the Kalari therapist’s medical expertise from that of other specialists is their psychophysiological training as a martial artist. Before a practitioner can begin their studies in the healing arts they must spend several years in intensive physical and meditational training. This gives the practitioner extraordinary control over their body and mind and thus control of the vital energy or wind (prana vayu). The efficacy of treatment is based on this ability to control and channel prana (energy) while giving treatments. Prana Chikitsa translates as ‘Energy Treatment’, referring to the practice of understanding and working with the subtle energy system of the body. Injury, trauma, and repetitive negative beliefs or thoughts can cause blocks in the energy system, which show up as discomfort and disease in the mind and physical body. A Kalari therapist is trained to assess and rebalance energy. The method of reading and receiving energy is simple. The recipient remains clothed and lies or sits and relaxes. A therapist gently places their hands in a series of non-intrusive positions on or near the body to analyze the system. During the session a therapist will discuss holistic lifestyle practices such as movement, meditation, Ayurveda and Yogic psychology with the patient, to help equip them with tools and habits to sustain and maintain their energy and wellbeing. Uzichil is a unique therapy used to rejuvenate the nervous and muscular systems of the body and to stimulate blood circulation. Therapists work along Nadi lines (energy channels, like meridians in Chinese Medicine) and rejuvenate and treat Marma (energy points, like Acupuncture points). Uzichil is given using medicated oils (Thailams) specially prepared by the therapist after studying the nature of health and psyche of the patient. Oils are created here in Adelaide with the utmost care. Organic base oils such as Coconut and Sesame are infused with medicinal plants like Tulsi (antiseptic, purifying), Camphor resin (reduces inflammation, increases joint mobility and flexibility) and Frankincense (promotes circulation, prevents degeneration of cartilage in the joints and regenerates the nervous system). In Kalari Uzichil, nothing hostile is introduced to the body and nothing toxic is left behind. Acupuncture is part of an integrated system of health care known as Traditional Chinese Medicine and is an external therapy, inserting of fine, sterile needles into acupoints (or in conjunction with Moxibustion) along the body’s meridians. By means of needling, it can stimulate the body and activate the regulating functions of the body to improve and rectify the disturbance and dysfunction of certain organs in the body. Such a therapy not only can treat disease, but also can prevent disease. It is noted for extensive application, significant curative effects and no side effects. The earliest records of Traditional Chinese Medicine date back to the 8th century BC. Diagnosis and treatment are based on a holistic view of the patient and the patient’s symptoms, expressed in terms of the balance of yin and yang. Yin represents the earth, cold, and femininity. Yang represents the sky, heat, and masculinity. The actions of yin and yang influence the interactions of the five elements composing the universe: metal, wood, water, fire, and earth. Practitioners of Chinese Traditional Medicine seek to control the levels of yin and yang through 12 meridians, which bring energy to the body. Chinese traditional medicine can be used for promoting health as well as preventing and curing diseases. Traditional Chinese Medicine (TCM) encompasses a range of practices, including acupuncture, moxibustion, herbal medicines, manual therapies, exercises, breathing techniques, and diets. Surgery is rarely used. Chinese medicine, particularly acupuncture, is the most widely used traditional medicine. It is practiced in every region of the world. When healthy, an abundant supply of qi (pronounced chee) or “life energy” flows through the body’s meridians (a network of invisible channels through the body). If the flow of qi in the meridians becomes blocked or there is an inadequate supply of qi, then the body fails to maintain harmony, balance and order, and disease or illness follows. Traditional Chinese Medicine practitioners through observable signs of bodily dysfunction look carefully for these signs of health and dysfunction, paying particular attention not only to the presenting signs and symptoms, but also to the medical history, general constitution, and the pulse and tongue. Bowen Therapy is a dynamic remedial body technique that activates the body’s innate healing ability. A treatment offers quick and lasting relief from pain and discomfort and a return to balance and harmony of the body. There is no prolonged contact with any muscle. Muscle tension is released and lymphatic flow is restored. There is no manipulation of joints and bone structures. Misalignments do correct themselves. There is no need for deep tissue work. The fascia will re-hydrate, adhesions may release and scar tissue can soften. People do feel a total sense of well-being following a treatment. A Bowen Treatment comprises the application of small but precise moves on specific points of the body. The location of treatment is dependent on the needs of the patient, and is extremely relaxing. There is no forceful manipulation, just a cross-fibre manoeuvring of a muscle, tendon or ligament. Various amounts of pressure are applied depending on the location and the needs of the patient, with time delays being incorporated to allow the body to respond effectively. gentle moves are safe to use on anyone from neonates to the aged. Substantial relief is frequently attained after the session. Most problems are resolved within four treatments. Cupping is an ancient Chinese therapeutic method of localised healing. The application of Cupping is very simple but its effects are dramatic. It produces congestion by a partial vacuum, created in cups placed on the skin. 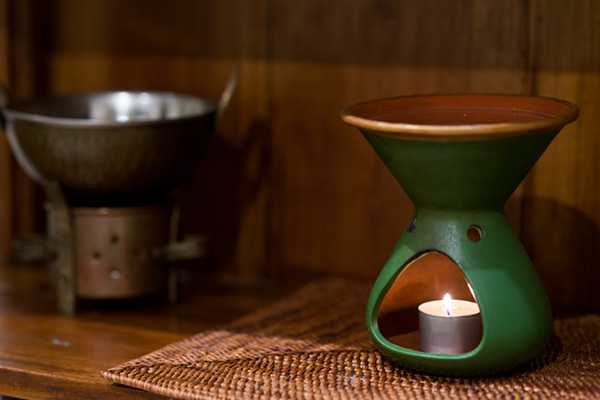 Due to the wonderful pulling power and heat that the cups offer, the technique is dramatic in its reduction of pain and hence our feeling of well-being. It is very helpful in opening the meridians and can also affect the body tissue within up to four inches to release toxins, activate and clear the circulatory and lymphatic systems, activate the skin, clear stretch marks and help to improve varicose veins. It is one of the best deep massages available. It is safe and can be applied using heat or suction in the insertion of the cups. A flame is used to remove any air inside the cup; it is then placed rapidly on the area of the body to be treated. This procedure creates a vacuum under the cup, which pulls the skin firmly, slightly raising the area underneath the cup. Reiki is a Japanese word meaning universal energy force. It is a healing technique transmitted by energy through the gentle placing of hands on specific positions, either on or above the body. The technique can be used for specific healing or general relaxation. Reiki is a powerful, yet simple natural healing system. Universal energy flows through the Reiki practitioner, spilling out via the heart chakra, through the hands to the recipient. Reiki does not cure in itself, but enhances the life force vitality so the body’s innate healing can be activated and supported to achieve optimum health. Reiki is a powerful complement to all other healing modalities. It will enhance (but not interfere with) other treatments. Lay your own hands on yourself and create optimum daily well-being. Respond to accidents, emergencies and crises instantly. Protect yourself from a nutritionally depleted and often toxic food and water supply. Protect yourself from negative energy in people and physical locations. Become emotionally strong and mentally aware. It is a simple, safe and natural method of spiritual healing. It treats the whole person including body, emotions, mind and spirit. It creates a feeling of relaxation, peace and security. The aim of Massage Therapy is to help create balance in all systems of the body and mind, and to stimulate energy points to promote blood flow to release tension and energy blocks from muscles and deep tissues. The blocks can misalign the muscular and skeletal system. When the energy points are stimulated, the tension and energy blocks automatically release, allowing the blood, oxygen and nutrients to flow freely again around the physical and organic body. This creates better functioning of all bodily systems and promotes better health. Touch is a form of communicating with the body. Not only to build trust with people, but also to show we care. The importance of health is to maintain order between the mind, body and emotions. Massage can be used to assist in maintaining this order and help keep the body in a state of ease. Massage combined with other factors such as good eating habits, gentle regular exercise and learning to take time out from work and stress are ways that good health can be achieved. There are a variety of massage specialisations. The following provides an overview of our massage therapies. We encourage you to speak with us regarding your needs so that we are able to recommend appropriate treatments. Mindfulness is a practice that has been explored by the worlds meditative and wisdom traditions as well as various Western sciences, including medicine and psychology. It is a universal tool for cultivating self-understanding and healing and is not dependent on any particular belief system or ideology. Our Mindfulness Coach, Alana Gregory, provides a professional service in a warm, caring and sensitive manner. Mindfulness Coaching sessions involve learning about the mind both theoretically through practical Yoga psychology, and experientially through a range of simple mindfulness practices. Mindfulness coaching allows you to find personal ways to practically bring the art of mindfulness into everyday life, moment to moment. The structure of a course or session will depend on individual client’s needs. Alana is available for one-off sessions (1-hour) as well as 6-week programs. Mental clarity, focus, and improved concentration. Increase self-awareness and emotional intelligence, assisting us to relate to others and one’s self with kindness, acceptance and compassion. Instil confidence in our ability to know, understand and act on our own inner wisdom. Mindfulness improves physical health in a number of ways by relieving stress, lowering blood pressure, reducing chronic pain, improving sleep and alleviating gastrointestinal difficulties. Beauty is a timeless quality that we all possess. Outer beauty may be seen in our skin, hair, and eyes, in our movements and posture, and in our freshness and vitality. This outer appearance is intimately linked to our inner beauty which relates to our power of digestion and elimination, and to living our life in a supportive and positive way that brings out our strengths. Enhancing our beauty comes from self-knowledge which comes about by understanding our nature (our individual and unique constitution). True and lasting beauty manifests as wisdom and skill in the way we live our lives. Just as each and every one of us is unique so must all we do be tailored to our individual needs. In Ayurveda it is understood that outer beauty comes first from inner beauty, understanding and accepting our self, and developing a life-style that is correct and compatible for us as unique individuals. This includes what we put on our skin as this too becomes food for the body and must suit us. Numerous Ayurvedic herbal combinations have been used effectively in the treatment of skin conditions and for the promotion of a clear and healthy complexion. More recently many of these treatments have been comprehensively studied by scientists and some excellent clinical findings now allow us to utilise this knowledge of the past. This is the root cause of any inner and outer disturbances. Once the root cause is addressed many of the symptoms that are being experienced may drop away. Many modern skin care products are “cosmetic” in the way they work – meaning to ‘cover up’. They are mostly created to work on symptoms such as dry skin, oily skin, acne, etc. without consideration to what the root cause of these problems is. The traditional application of Ayurveda is focused primarily on a Lifestyle management approach and this is the most important factor in terms of stability. Lifestyle is everything and anything that affects you and because you are unique it must be correct and compatible for you. AWE Cosmeceuticals aims to encompass the teachings of this ancient wisdom and incorporate it into a modern skincare system which provides visible, long-lasting results for truly rejuvenated skin. These products work at the root level and not superficially. Thus though it takes a little longer for effective results, the results once obtained will remain as part of you and your life. So you can expect long term and long lasting benefits and not just improvement of your skin quality. The approach is holistic; where you are recognised, respected, and cared for as a unique individual.